TIME FRAME FOR MURDER INVESTIGATION -- UNACCEPTABLE! 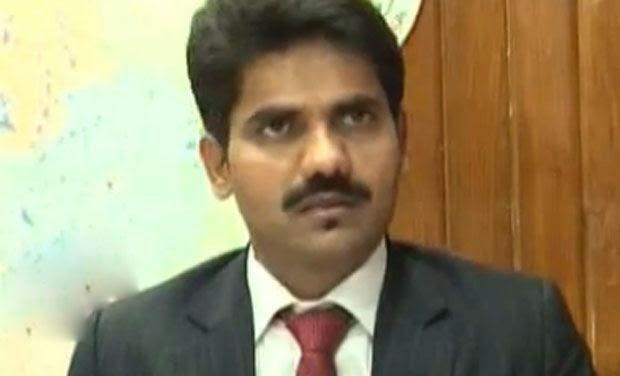 The official of Central Bureau of Investigation has refused to investigate the murder case of IAS Officer, D.K.RAVI. The Agency's official refused on conditional probe asked by government of K'TAKA and returned the file to the government, while the government issued a gazette to declare the removal of condition and recommended again the agency to probe the case. It is noticeable that the ruling Shiddhmaraya's government at K'taka had recommended to entrust the murder probe to the CBI under the pressure maintained by the opposition and the kin of deceased IAS and asked the agency to complete it within next three months. The agency's official refused the conditions and said,"The government can not implement the conditions on the agency's probe." IAS, D.K. RAVI, was found dead on 16th March 2015 in his flat at Bengaluru. The police told that the initial probe revealed it a suicide case. The next kin of Ravi raised objections against the outcome of probe and asked the inquiry to be done by the CBI. The opposition took the matter seriously and up-roared the matter in assembly and the out side. The pressure maintained by both compelled the government to refer the case to the CBI. The agency's official wrote to the department of personnel about the time limit for the referred investigation.